We’re here to support organisations in the health, social care and charity sector to increase their income as well as helping them to achieve a sustainable funding mix, so they can move from strength to strength. Find out more about what we can offer you by visiting the links below. Alerting you to live opportunities and helping you to submit winning tender bids. We provide the strategical support you need, allowing your organisation to grow and excel. Find out about what our team are up to and keep up to date with relevant industry news via our blog. Check out our testimonials below! Gemma has recently been supporting us at Community Central in looking at funding opportunities for new projects to meet emerging needs. She is thorough, asks great questions and has a keen eye for detail. She has quickly picked up on the issues facing charities in Herts and is able to bring her considerable experience into play. We attended Gemma’s Tender-writing training earlier this year which was superlative: she clearly knows how to write successful tenders and how to avoid the common pitfalls. 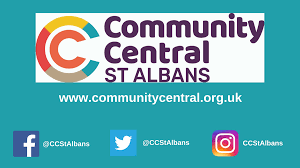 Community Central is the new name for CVS St Albans, which supports over 200 community groups throughout St Albans District. I engaged Underwood Consulting undertake some fundraising research, in order to identify potential Trusts and Foundations for which we would be eligible to apply. Gemma undertook a day’s research and identified a number of prospects matched to our organisation and funding requirements, separated into easy to use lists. Gemma also produced a detailed report outlining the prospect research she had undertaken and the wider Trust Fundraising environment to help inform our Trust Fundraising strategy. Gemma was available to answer follow up questions and was instrumental to helping inform our approach. Gemma has quickly produced for us a thorough and very professional fundraising strategy looking forward for the next two years .This 28 page document plus appendices has encompassed:• A clear pathway to producing our targeted income for families support and research over the next year, including the methodology for significant increases thereafter. • SWOT analysis. • A review of sustainable income streams (and those that are unsuitable for us). • Returns on expenditure invested. 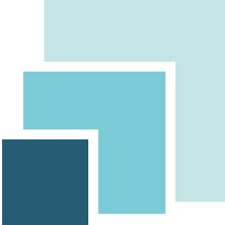 • A comprehensive review of relevant market literature supporting recent history and recommendations for our future development. Gemma has demonstrated a noteworthy ability to identify with our charity’s scope, activities and needs quickly and we think her work has been excellent and it has given us the confidence to promote our charity and head towards its next step stage of growth and development. We appointed Underwood Consulting to help us bid for our first competitive tender. It was a daunting process but one we understood we must engage with. Gemma was able to guide us through the process, arranging an initial workshop to discuss the information we would need to provide and obtain as much detail as possible about Independent Quality Care (IQC). Gemma was quickly able to understand our services and reflect our motivation for establishing IQC. She worked with us and was able to draw out added value to help us strengthen our bid. We were delighted with the final responses Underwood Consulting produced and would have no hesitation in recommending Underwood Consulting. Gemma has supported Ormiston Families with trust and statutory work since January 2018, firstly as our interim Trusts and Foundations Manager and more latterly as our interim Senior Bid Writer. During this time she has developed a trusts and foundations strategy, a statutory bidding process and developed a healthy pipeline of prospects to fund our work. She has been a great mentor for our income generation officer and helped us recruit an experienced Trusts and Foundations Manager. Gemma is not just a consultant – she quickly became one of the team and shows a real interest and passion for the work that Ormiston Families does. She has been a great asset to the whole of the organisation. Gemma presented her services in a professional and concise manner. The initial costs and schedule were very clear which allowed us to make an informed decision on how we could progress our project. We have been pleased with how Gemma has taken on board the complexity of the services carried out by our charity. Gemma has managed our project efficiently and has been able to provide us with output as agreed in the project plan. We have been pleased with the content Gemma has provided for our general applications, we are now at a stage where we are able to send out our general application requests. Gemma has conducted herself and the project in a very professional manner, it has been a pleasure working with her. We appointed Gemma Underwood as our Trusts and Foundations consultant in September 2016 following the departure of our Trusts and Foundations manager. In the short time that she has been here she has really hit the ground running, working closely with our Trusts and Foundations intern and supporting the wider Income Generation Team. She developed a first class bid to Children in Need which has quickly progressed to the telephone assessment stage and has also submitted a high quality bid in response to a local authority tender. As part of her assignment she delivered a bid writing course to colleagues across the organisation. Delegates included those who had substantial tender writing experience to those who had little or no experience. She was able to tailor her course to meet the needs of all 12 delegates and feedback has been very positive from all. As well as being very expert in her field, Gemma is a great pleasure to work with and has been a tremendous support to myself and the organisation. David Finch, Managing Director, Cephas Care Ltd, 2016. We approached Gemma after deciding as a company we needed further support with our tender writing. Gemma was quick to respond back and arranged an initial meeting. She explained all of our options both clearly and in detail and we decided to use Underwood Consulting. She quickly arranged a meeting to gather information from all levels of our management including staff. She stayed in contact and gave us a breakdown of dates thing would be completed. She completed all within the date and this was a short date tender. We found Underwood Consulting to be very professional throughout the process and will use them again for future Tenders that may arise. Gemma has provided a first class service and we are delighted to be working with Underwood Consulting. Her grasp of detail and ability to be inclusive bringing the whole team along in the process is second to none. Gemma has turned a really daunting and mammoth task (tender submissions) into a challenging but rewarding experience. I would highly recommend Underwood Consulting. Gemma recently helped us review the method statements part of our bid for a local authority tender. From the outset we were reassured by her prompt responses to our questions, the clarity around what help she could offer, the timetable and the cost. She very quickly understood our needs and her response was thorough, professional and delivered on time. Gemma clearly has a great deal of skill and experience which we think has enhanced our bid and at a very fair price. We would not hesitate to recommend Gemma Underwood and would certainly use her again in the future. Gemma’s knowledge, understanding and experience in successful tendering was invaluable to us. We have had some success in the past, but the training Gemma provided has equipped us to think more strategically about our approach to tendering. The course was engaging and practical, and very relevant to what we needed to put into practice, including useful information for a higher success rate. I cannot thank Gemma enough for the work she has done and is continuing to do for our charity. She made the process of working with a fundraiser enjoyable and motivating. 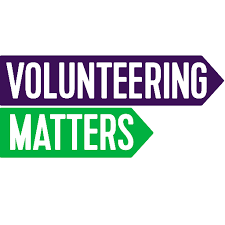 Gemma has worked really collaboratively with us so that she understands us as an organisation, as well as developing a thorough understanding of our fundraising needs. Nothing is too much trouble and I feel that we are in safe hands. Gemma worked with me to put together a fantastic tender. Not only was I awarded the contract but I was congratulated on the quality of the tender. She was extremely professional and knowledgeable. I would not have been able to do this without her expertise and she was a pleasure to work with. 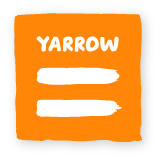 Underwood Consulting has supported Yarrow to improve our tender and grant application offers by providing us with a great consultancy package. Gemma is not only exceptionally knowledgeable about our sector, she has a wealth of expertise in tender writing. We love working with Gemma, she is thorough, very person centred and has a great ability to drive projects forward.If you are looking for a company to support you to get your business offer right then we highly recommend Underwood Consulting. Here at Underwood Consulting, we’re here to help you. We have a wide range of knowledge in both tenders and fundraising for the Health and Social Care sector. Whether you’re looking to secure funding or want assistance in submitting winning tender submissions, we provide the necessary support to enable your organisation to grow. Find out about our extensive experience and areas of expertise below! Our Director has had a wide range of experience in managing tendering processes, which saw her win contracts worth several million pounds as well as achieving excellent tender submission scores. Gemma also has extensive experience in creating fundraising strategies which have seen many charities increase their income, including one by over 30% a year. Following several years of government funding cuts, we understand that providers in the Health and Social Care sector are facing unprecedented pressures in terms of maintaining their income and securing funding to enable them to re-invest. As a result of this, ensuring the sustainability and continuation of their vital services is more challenging than ever before – but that’s what we’re here to help with. Gemma has brought people she has worked with throughout her career in the sector, to establish a base of associates supporting Underwood Consulting, who are well qualified, experienced and most importantly share a passion and ethos befitting the charity, health and social care sector. This ensures the team at Underwood Consulting will work hard to help your charity grow and achieve results you can be proud of.